Open, soft, forward, early drinking, red cherry, tobacco and smoked filled, medium-bodied charmer that should be consumed over the next 6-8 years. Not a lot of depth, but it's quite nice to enjoy today. Chateau Ferrande can be enjoyed on the young side with decanting. Young vintages can be decanted for about 1 hour. This allows the wine to soften and open its perfume. Older vintages might need very little decanting, just enough to remove the sediment. 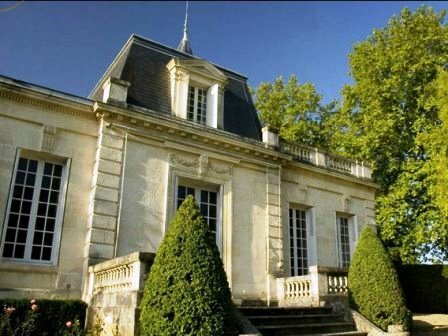 Chateau Ferrande offers its best drinking and should reach peak maturity between 4-8 years of age after the vintage. Chateau Ferrande is best served at 15.5 degrees Celsius, 60 degrees Fahrenheit. The cool, almost cellar temperature gives the wine more freshness and lift. The red wine of Chateau Ferrande is best served with all types of classic meat dishes, veal, pork, beef, lamb, duck, game, roast chicken, roasted braised and grilled dishes. Chateau Ferrande is a perfect match with Asian dishes, hearty fish courses like tuna, mushrooms and pasta as well as cheese. The white wine of Chateau Ferrande is a perfect wine to serve with shellfish, sashimi, sushi, all types of seafood, chicken, veal and cheese.